If you're a manufacturer or business owner, you probably make use of some large industrial equipment. You've probably also run into some sticky situations when it's come time to move that equipment. With the size of standard building openings, it's no easy task to move large machinery around on your own. To get the job done, you'll need the help of your local commercial moving company. Commercial Moving Services of Windsor, CT, offers heavy machinery/rigging services to safely and efficiently move your large machinery and equipment. Commercial Moving Services' staff of heavy machinery/rigging experts is prepared to meet any challenge. They specialize in hands-on rigging, equipment installation, and leveling for machine efficiency (anchoring, leveling, core drilling). Every commercial moving job entails careful planning and preparation. For a smooth and successful project, they start with a walk-through of your facility to scope out any potential obstacles. Next, they'll work with you to plan out every phase of the project. There will be no surprises, only results. Whether you need to move a piece of equipment just outside of your building or all the way across the country, you can count on Commercial Moving Services. For over a decade they've provided heavy equipment/rigging services with passion and precision. Their responsiveness and dependable service set them apart from other commercial moving companies in the area. Still not convinced? Check out some testimonials from satisfied customers for added assurance. 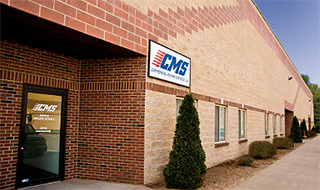 Visit Commercial Moving Services online to view their full list of services. You can also give them a call at (860) 688-6606 to discuss your commercial moving needs.